Is it ever possible for a game originally developed and conceived for an iPhone to make the transition to fully fledged current generation console? 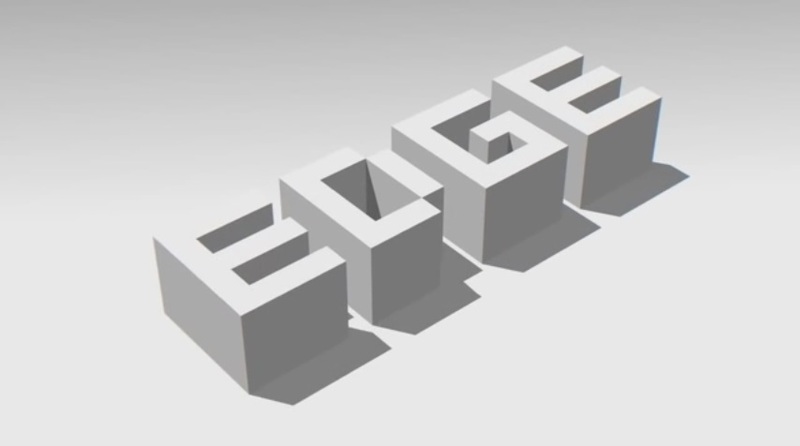 If it’s not a massive casual-game franchise this sounds a little far fetched, but Two Tribes have managed to pull this off and distance the surreal, infuriating puzzler Edge from its touch-screen origins, all without losing the primary crux of the game. 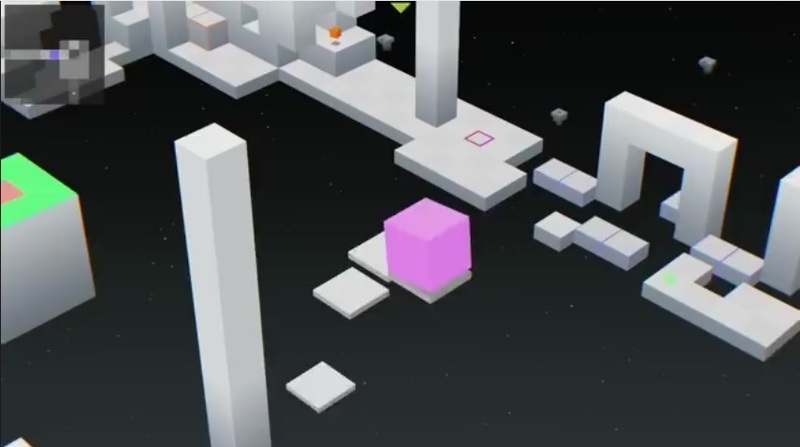 Mobile game developers have a reputation for filling their creations with micro-transactions, progress payments and click-bait advertisements, but when that is all stripped away and the visuals have been given a bit of a boost, the simple but additive gameplay shines through, along with obvious but pleasing cues taken from the retro scene. Prepare to be Edge-ucated. Edge prides itself on an uncomplicated retro look and straightforward interface. 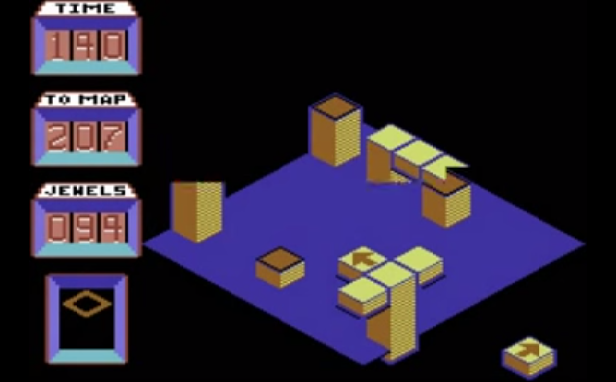 Traditional isometric values apply so it’s a familiar and comfortable game to get into out of the blocks so to speak. But it’s the blocks themselves that make the brain cells wince and the reactions flinch. 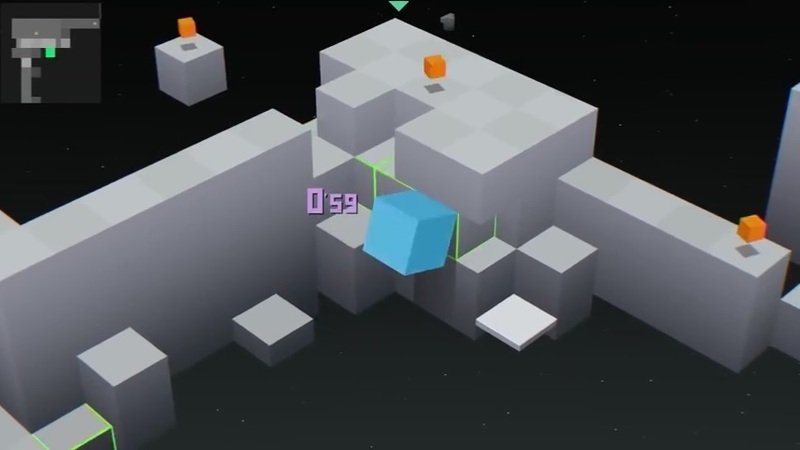 Your task is simple; controlling a mobile cube, you have to reach the exit portal in the least amount of time possible, along the way collecting prisms to boost your score and rank. 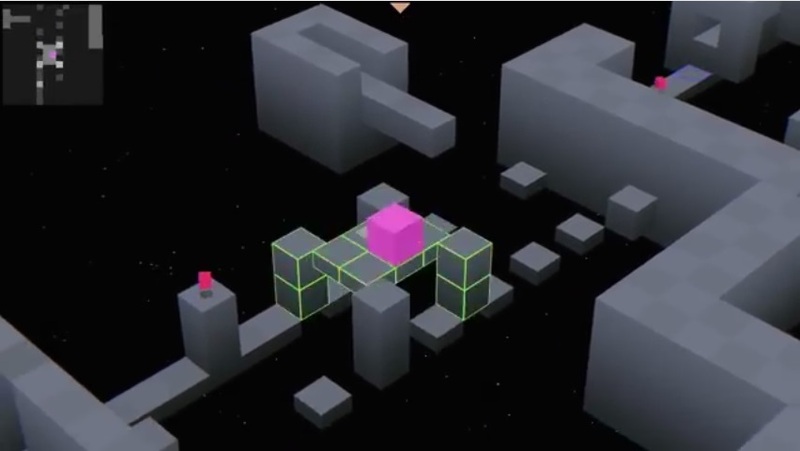 It draws inspirations from the likes of Spindizzy and Marble Madness, but because you are a cube your have far more control over the proceedings. That tight control is required, and essential as you get further into the stages. 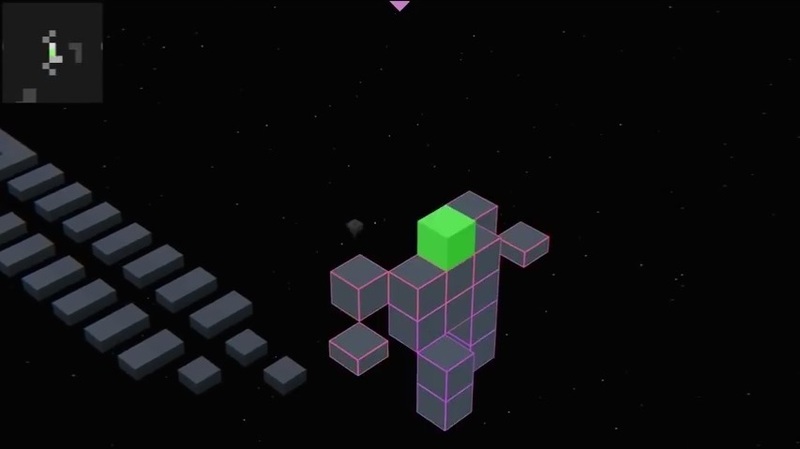 Your cube has several gravity defying talents, most notably the ability to cling to the edge of platforms, being held in a balancing act by your delicate touch. This creates ‘Edge Time’ and further boosts for final score the more you accrue. Furthermore, you can undergo a transformation during some stages where you shrink, changing the dynamics of the task in hand. This gives you the ability to climb vertical faces and squeeze into tunnels, again using a precise, practised taps on the controls. It’s a very easy game to grow into, but infuriatingly tricky as you progress, all without causing you to turn off in game-rage fit. 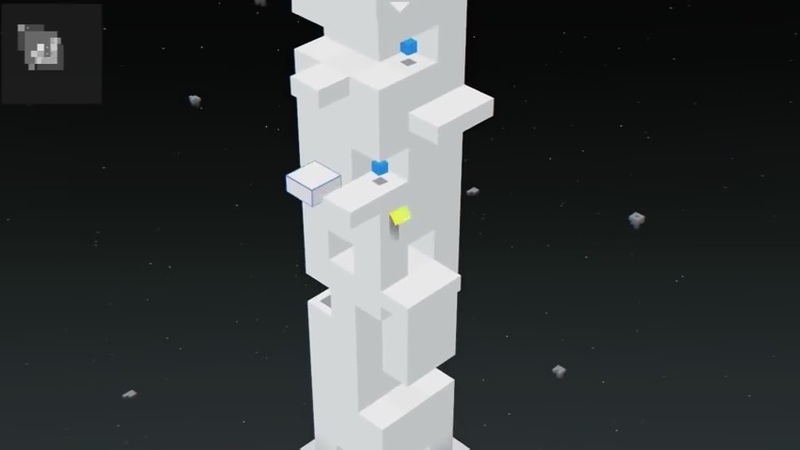 A clever and fair difficulty slope aids this greatly, making the gameplay design one of simplistic beauty. Examples of modern games assuming an uncomplicated, retro graphical style have been abundant in recent years, and Edge is no exception. 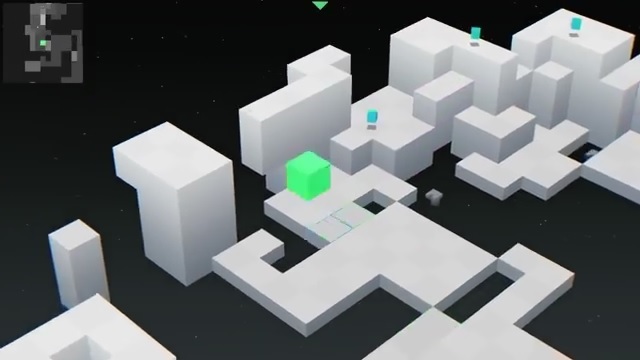 Sure, it doesn’t take on the full retro look with blocky, jaggy lines and solid colour patches, but instead presents a clean, geometric, minimally coloured isometric world which is alluring to look at. With its sharp lines and basic colours, it certainly doesn’t push the Wii U, and maybe a little more detail to the mostly sparse environment could have helped distance this version even more from the original. However, coupled with an ultra smooth animation and pin-point responses, it’s strangely joyful to watch. The argument I would put forward to its detriment would be the camera angle you are given. Instances will occur where you cannot see if any platform is available to drop onto, or finding the path to a switch or prism, and this becomes frustrating, even by glancing at the usual birds-eye map in the corner. Over time, trial and error uncovers the solution, but when this entails restarting the level from scratch over and over, it can become a little grating. I quick fix to this would have been the inclusion of the camera rotate facility, but I guess that would have made the game not as difficult or as satisfying upon completion. Giving us a blend of 90’s techno and 80’s 8-bit, the lively soundtrack is another fantastic nostalgia driven part of Edge. The tunes are of course original to the game, and plenty of them from quick, poppy ditties to slower, dramatic themes. But all seem to sound familiar, like you have heard and enjoyed them before but can’t think where. It’s clever too, as each track provides a mood to each level which in turn latches onto your gameplay style, weather it be a slow planned route or a dash for the finish line. Effects, just like the visuals are minimal and are surreptitiously placed. The light thumping of your cube moving is barely audible, because it’s the sound you would be playing in your head, but the comic squeak of the mini-cube is the polar opposite. It would have been beneficial to have a few more effects in the mix, as at times it can seem pretty quiet save for the background music. 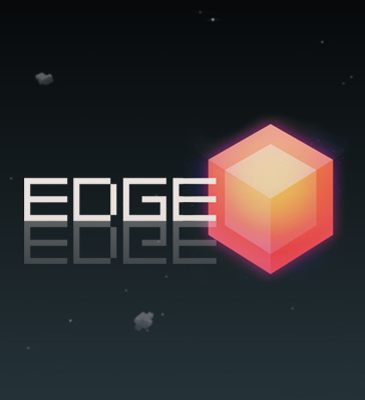 With 48 initial levels to beat, plus additional bonus stages and extended sets of levels, Edge will have you turning the brain cogs and clocking up the edge-time for quite a while, even if it’s only to beat your own rankings. Getting an S rank on any level needs a lot of practice and patience, but it’s wonderfully fulfilling. Mobile games have a common trait that they are all based around a remarkably simple concept, and moving to the big consoles isn’t always advisable (Angry Birds anyone?) But Edge makes the journey unscathed, intact and better without the screen tapping and finger swiping. Indeed, the use of the D-pad is essential in my book, and if you need a mobile fix of it? No problem, you can just play it directly on the gamepad. Addictive and absorbing with a pleasing backbone of retro melancholy, Edge makes you feel like Déjà vu in a sense. It’s like something you have played before, but… it isn’t. An excellent puzzler that proves some titles can make that step in between the twilight zone of gaming. Don’t get edgy about it, download it now!